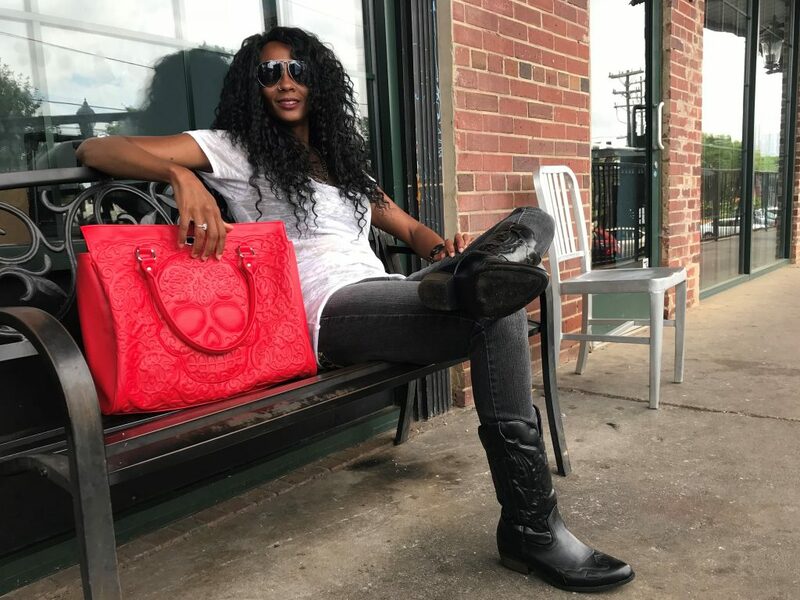 In 2018, I set out to write a story on the front woman of Tombstone Betty, a Southern rock band based in Charlotte, NC. But Adrienne Nixon Basco’s journey from the weird kid in high school to the actor in college to the rocker she is today inspired me to cast my net wider and do a larger piece on cultural change in a musical genre not typically known for its acceptance of change. The story could have been an extra chapter in my 2004 book Dixie Lullaby: A Story of Music, Race and New Beginnings in a New South. 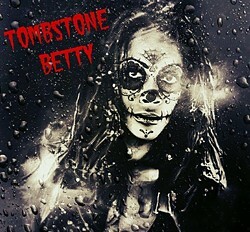 I’m reposting the piece today because Tombstone Betty have just released a new video for their self-titled theme song, which you’ll find embedded in the story. A FEW YEARS AGO, Adrienne Nixon Basco was hanging out at a music festival with her former band, the Charlotte Southern rock outfit Swamp da Wamp, when a guy approached her with a curious but sincere look on his face. Nixon Basco chuckles at her memory of the guy’s naïveté. He was nice enough, she insists; he didn’t mean any harm. 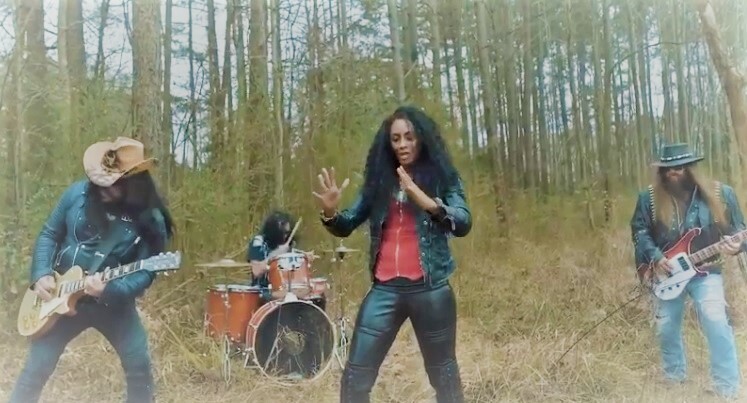 The exchange is not uncommon for Nixon Basco, who’s currently the frontwoman of a newer Charlotte band, Tombstone Betty. She says she’s always answering variations on the same question. After all, she’s a powerful black female lead singer in a musical genre — traditional, old-school Southern rock — that remains one of the last bastions of whiteness in rock ‘n’ roll, even though that makes absolutely no sense, given the music’s rich mix of blues, soul, gospel, country and power riffs. But the guy’s question underscores preconceptions that we all, to a certain degree, bring to music events, in terms of cultural identity and cultural expectations. We wear our preferences for certain types of folk, rock, country or hip-hop like badges representing race, nationality, gender identity, political affiliation, religious belief and other specific worldviews. Too often, we draw lines in the sand — either consciously or subconsciously — rather than letting music just be something that pulls us all together. She’s sitting at a corner table in the back room of Amelie’s French Bakery in NoDa on a drizzly Wednesday afternoon, wearing a white top, faded black jeans and black cowboy boots. Sporting a silver necklace, leather bracelet and gold nose ring — and carrying a giant red vegan tote bag imprinted with a Mexican sugar skull — the slender, 42-year-old singer with the stunning mane of jet-black hair is rock ‘n’ roll incarnate. But she’s no Ronnie Van Zant. In a perfect world, Nixon Basco’s very being as the frontwoman of a Southern rock band in Charlotte, North Carolina, in 2018, would not be an issue. But we don’t live in a perfect world — we live in today’s world, in which some of the more well-known veterans of ’70s-era Southern rock, such as Charlie Daniels, and younger Johnny-come-latelys like non-Southerner Kid Rock, have jumped on the Trump train, riding defiant cultural insensitivity from small county fairs to nightclubs to large tribal gatherings in sheds and arenas all across the United States. The music, the festivals and the uniforms have become sadly (though not completely accurately) synonymous with reactionary politics. 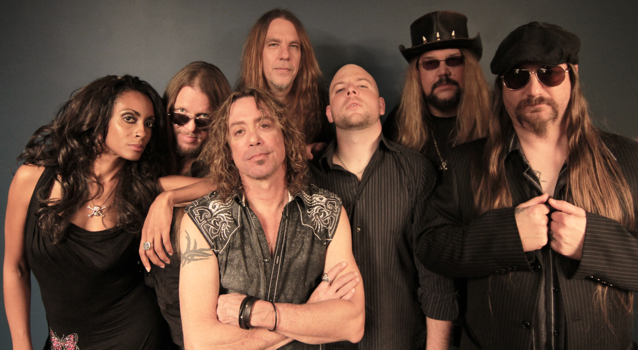 In 2012, far-right fans of Lynyrd Skynyrd, the late Van Zant’s much-mythologized band of Florida-born rabble-rousers, were outraged when sole remaining founding member Gary Rossington suggested in a CNN interview that Skynyrd might back away from displaying the Confederate flag onstage. He quickly backpedalled in a history-challenged note posted to placate fans on the band’s Facebook page. Nixon Basco’s experiences with the Confederate flag stand, quite naturally, in stark contrast to those of Lynyrd Skynyrd’s angry fans. On one occasion, she found herself on an outdoor stage next to a giant rebel flag; the performance wound up in a YouTube video. Nixon Basco (left) gives that flag the stank-eye. Former Creative Loafing music editor Kandia Crazy Horse, author of Rip It Up: The Black Experience in Rock N Roll, understands Nixon Basco’s dilemma. 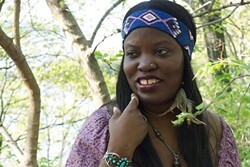 Crazy Horse is an expert on Southern rock who’s been in the trenches for decades, writing about it, lecturing about it, speaking in documentaries about it and performing her own blend of African-American country and soul on her 2013 album Stampede. “As a fanatic of Southern rock,” Crazy Horse says, “the Confederate battle flag does not give me pause nor prevent me from going where I want to go. The music is mine, a space where the blues and country meet and are refashioned into other sounds. Crazy Horse gives Nixon Basco big props for carrying on the much-needed tradition of keeping a little melanin in the music. “More power to this sister for prevailing out there on the road,” Crazy Horse says. On June 8, 2018, Nixon Basco and her Tombstone Betty bandmates will hit the stage at the Hog Happenin’ Bikes and BBQ fest up in Newton, to play songs from their new self-titled debut EP. While it would be an egregious stereotype to suggest everybody in the crowd will be questioning her role at the festival or waving Confederate flags, some will. And Nixon Basco aims to change their perceptions. DURING SOUTHERN ROCK’S mid-’70s heyday, British music fans seemed to intuitively understand and appreciate the nuances in the music’s rich gumbo of Southern American styles, perhaps even more than some Americans did. Skynyrd was huge in the U.K., and the Brits had long produced their own Southern American-style bands, from the raw, pre-Skynyrd blues-rock of the Yardbirds to the soulful rock of the Small Faces, who sometimes performed with black American R&B singer P.P. Arnold, to early-’70s acts like Humble Pie and Free. The band’s new EP runs the gamut of old-school Southern rock and boogie, from the thick, Humble Pie-like riffs and slide guitars of “Try My Wine” to the Harley engine-charged hard rock of “Rev It Up” to the gentle, country-ish “Let it Roll,” an acoustic-based ballad worthy of a cigarette-lighter-waving encore. She wrote the latter song one rainy night while driving her black Cadillac across a bridge over Lake Norman. BORN IN MOORESVILLE when it was still a small town, Adrienne Nixon always felt different from her friends and family members. “One of my mom’s favorite words to describe me was ‘weird.’ I’m her weird child,” she says with a laugh. Nixon Basco’s mother sang gospel, and her sister — 16 years Adrienne’s senior — introduced her to disco and funk. 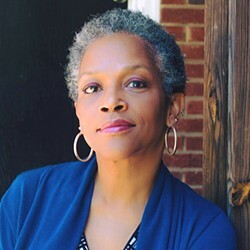 But her father, who lived in Greensboro and served as band director at North Carolina A&T State University for 30 years, introduced her to classical music. Adrienne Nixon hit the ground running after college, landing roles with Children’s Theatre of Charlotte. She got to know Charlotte actor April Jones when Jones played her older sister, Manyara, in the African Cinderella story Mufaro’s Beautiful Daughter. “That was such a great little family atmosphere that we had at the time with April and Sidney Horton — he was our dad,” Nixon Basco remembers, with a laugh. The band stuff came about four years ago, when Rich Basco, who’s now Nixon Basco’s husband, tracked her down on Facebook. He was the bassist for Swamp da Wamp, a band fronted by the late Gig Michaels, a husky Ronnie Van Zant lookalike who commanded the stage with his brown leather hat and big personality. Swamp da Wamp was looking for a second female backup singer. Tombstone Betty’s initial incarnation included other former members of Swamp da Wamp, including guitarist Nick Nguyen, who plays the sizzling slide part on “Try My Wine.” But Nguyen lives in Nashville now, and the trip back and forth to Charlotte was too much for him. 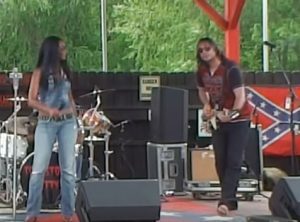 The group eventually gelled with two members borrowed from the local funk-based hard-rock act English, whose music is in the vein of the ’70s Atlanta outfit Mother’s Finest, one of the few racially mixed Southern bands of that era. Nixon Basco is happy with Tombstone Betty’s latest lineup, but the process, she says, hasn’t been easy. That’s something Nixon Basco is on a mission to shake up. “I want to be a face for change. We want to change a lot of things,” she says with a mischievous smile. With her striking stage presence and passionate vocals on songs played in a musical style that ought to be as mixed as the sounds it draws from, Adrienne Nixon Basco already is a face for change.